Taipei IN Style (TIS) was held from November 8th to 11th and emphasized the “Sustainable Fashion and Functional Innovation” in Taiwan’s high quality textile and apparel industry, which was illustrated by the following four themes: “Sustainable Fashion and Functional Innovation- the Power of Taiwanese Brands”, “International Exposure Projects – Presenting Asia’s Fashion Talents”, “Expanding Fashion Industry with Smart Tech” and “Asia’s Fashion Apparels Brands gathered at Taipei IN Style”. Taiwan’s fashion industry is continuously communicating newer trends, and connecting with Taiwan’s advantage of technology innovation, as well as world’s leading textile materials. The strength of Taiwanese designers and brands was to be seen in the grand show. 2018 Taipei IN Style presented over 120 apparel brands from Japan, Hong Kong, China, Taiwan and more, hosting a total of 13 house shows and an international competition, 5 seminars about fashion trends and international market potentials, as well as one brand event, attracting buyers from Europe, Japan, China, Southeast Asia and around the world. TIS is an iconic professional exhibition in Taiwan’s fashion industry, leading Taipei as one of the most stylish cities by merging fashion with industry. In face of the changes in global fashion industry, Asian clothing brands actively presents to the media and seek buyers to strive for purchase opportunities. Taipei IN Style gathered famous designer brands and fashion institutes around the world this year, including Gioia Pan that won the 18th Golden Top Award in China, Yenline Hsu who is talented at her exquisite technique, “MADAMMAY” and “HONG CHUBBY” designed by May Hsu, which focus on detail cuttings and achieve fashion and high quality at the same time. Alexander King Chen, Cheng Pai Chen, Sophia Wu and more, as well as teams from Japan, Hong Kong, China and more places also registered to join the grand event, proving that Taipei IN Style’s function as an Asia’s fashion hub has been recognized. It surely will catch spotlights and show Asia’s fashion vitality. Taiwan Textile Federation also assists textile and apparel companies to market and promote themselves overseas. 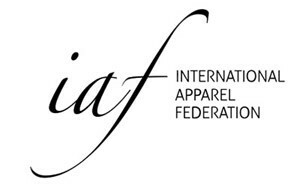 With Taipei IN Style, it led over 60 brands to participate fashion events in Paris, Shanghai, Tokyo, Hong Kong, Kuala Lumpur and more in 2018, it increases communication with international buyers and media through a variety of marketing channels and establishing the reputation and image of Tainwan’s high quality textile and fashion products.